I can't tell you the memories I had as a child about playing dress up. I remember I use to think I was one of the Disney princesses. I think every little girl does. Weather it is the little girls playing dress up of a princess like this beauty here. Or a little boy acting out other Disney characters like Peter Pan or Pinocchio (which I have to say was a favorite of mine). When this beauty was little I always wanted to recreate a mermaid. Maybe because of her beautiful red hair. 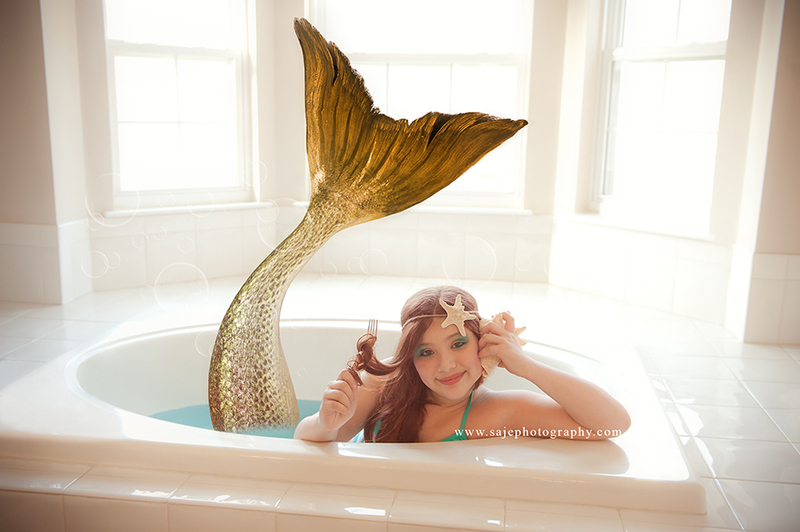 So that is what we did we took the Disney little Mermaid and recreated it. Thinking about creating Art with your Child. Weather it is Snow White for a 1 yr old cake smash session or another princess. Let Saje Photography help you capture that special moment.